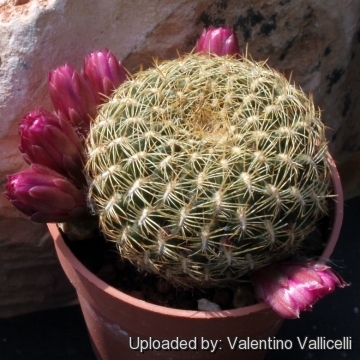 Description: Rebutia steinbachii var. 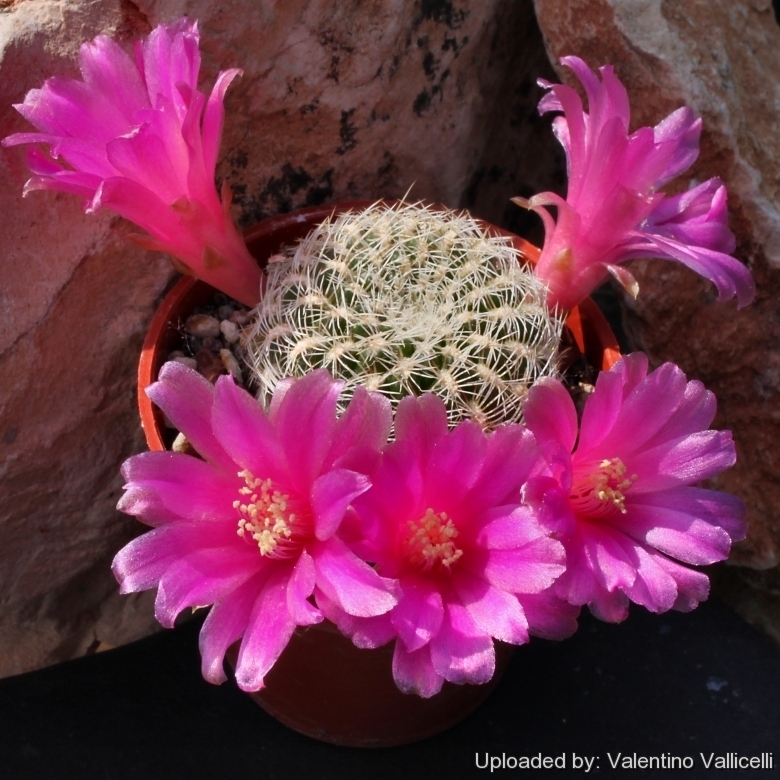 pampagrandensis best known as Sulcorebutia pampagrandensis is one of the innumerable local form of the very variable Rebutia steinbachii (= Sulcorebutia steinbachii) that distinguishes for its grey-green body, long narrow yellowish areoles and yellowish pectinate spines. The blooms are mauve. 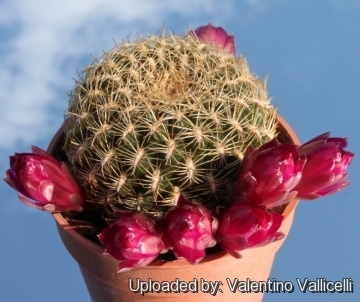 Note: Rebutia steinbachii var. 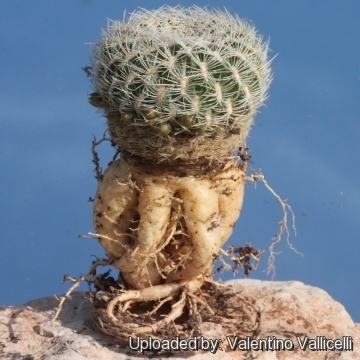 pampagrandensis is apparently a neotenic variety of the species in which juvenile spination is retained throughout the life of the plant, while many of the other varieties are dimorphic (short spined juvenile forms transform at maturity to strongly spined forms). Stem: Single heads 30–50 mm wide, flattened-globose or globose and somehow apically depressed, grey-green, lighter than type, almost hidden under the covering of spines.. Ribs: 12-26, spiralling, forming rhomboid tubercles. 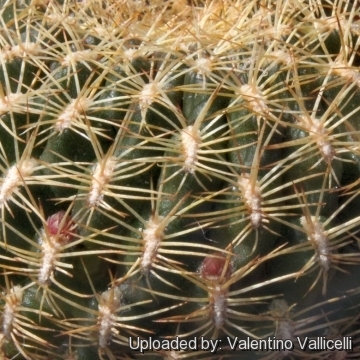 Spines: About 20-25 creamy-white or yellowish (sometime brownish to almost black.) pectinate, addpressed to slightly spreading and somewhat curved against the body. Central spines: Absent or occasionally one. 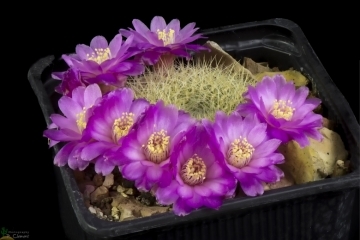 Flowers: Rarely more than 3,5 cm long and 4,5 in diameter, mauve to burgundy red with a silky sheen (occasionally yellow with reddish tones on the outside), numerous in a ring at the base of the plant.